MDM (Mobile Device Management) is the perfect way to configure and control content and use of iPhone’s and iPad’s wirelessly with a single action. 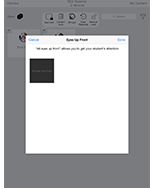 If you are using iPads in your business or school, you need to think about how you are going to sync and load apps to them. 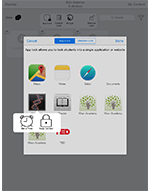 An MDM gives you full control over each iPad and prevents the user from downloading and deleting apps. This is a perfect solution for schools and business users with a larger rollout. If you are using a small number say to 60 devices then Apple Configurator (which is free of charge) can be used to sync your iPads daily and quickly distribute apps. If you are using a larger number of devices and want them locked down, then you need to utilise an MDM. One of the main features of an MDM is the security aspect that it employs. Restricting apps, internet and settings can be done by geo fencing or on a timed basis. Geo fencing works by locking the iPad down in a specific geographic area. Once they leave the ‘fence’ they can use all aspects of their iPads once more. For boarding schools, this would not be viable, so locking down iPads on a time basis would be the more suitable option. For example, certain settings and blocking will take place during the school day 5 days a week. When a User is using their own device or utilising a parental lease, the iPad can be released in the evenings and weekends, when at home for consumer needs rather than only educational. An exciting feature of AirWatch is AppWatch, this means that power is given to your Administrator to lock the Users down to particular apps or an app as and when they like. This means that ‘IT’ do not have to be involved with every change. In the School environment imagine that a Teacher can disable a classroom for stressful times when the teacher wants the full class attention. It is not just Apps that can be maintained and shared with this MDM, but also URLs and shared work. Dividing the device into Groups means that the Users will access the apps, PDF’s and web URL’s that have been shared for that subject. Users are also given the freedom to customise their own wallpaper and picture so they have a personalised device. Users enjoy the personalisation of the device and it promotes taking care of their own property. Many MDMs are great at locking down the apps on a device but the difference with AirWatch is that the Administrator can make changes throughout the day, not just relying on the IT department for implementing changes. AirWatch is very easy to use and on larger roll-outs HardSoft will provide full admin training. AirWatch is from 80 pence per week per User. AirWatch by VMWare supports multiple platforms and is very easy to use. Supporting your iPads or iPhones wirelessly and simply gives Management full control of their Users. HardSoft can provide you with this MDM solution when leasing your iPads. HardSoft are an Authorised iPad Reseller and if you would like a quote, CLICK HERE. Alternatively, to speak to one of our Apple qualified sales team call 0207 111 1643. HardSoft are a one stop shop for all of your computing needs. Three years Warranty, accidental damage cover and FREE training are included in all of our business leases for Apple devices.